Elcon has instilled a philosophy that places quality services and customer satisfaction at the forefront. Our management team includes professional, experienced individuals with capabilities and expertise uncommon in their fields. Elcon Corporation serves a diverse range of consulting and contracting needs within related technical fields. Elcon was established in 1981 as a privately held electrical contracting company. Directed by the vision of the founding partners, Elcon has continually evolved to support a broader service offering for an expanding customer base. Recognizing our clients’ needs for different, yet related, services, Elcon set about bringing together the necessary managerial and technical resources in order to offer our customers complete solutions. Elcon recognized early in this decade that many of our existing electrical customers had a need for highly specialized instrumentation and control systems services. In 1992, Elcon answered this need by establishing an Instrumentation Division staffed with highly capable technical resources experienced in meeting such needs. This division initially serviced the needs of Electrical Division clients, acting as an internal subcontracting resource. Over time the Instrumentation Division developed a reputation of its own for quality services in its field of expertise. 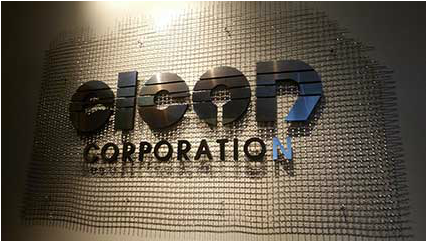 Following this successful division model in late 1994, Elcon established the Communications Division to meet our customers' needs for complex and advanced telecommunication network services. Opportunities within the Electrical Division’s existing customer base provided the foundation needed to build upon. Elcon assembled a team of highly qualified individuals with management, design and installation backgrounds to focus on fiber optic based network architectures. Today, the Communications Division supports a growing customer base including telecommunications, utilities, schools, large corporations and local, state and federal agencies. With the combined expertise of the Electrical, Instrumentation and Communications divisions, Elcon is uniquely positioned to offer clients a technical partner capable of meeting a broad range of needs, including any related general construction needs. Many of our customers have come to find that needs they used to turn to several different contractors to meet can now be met through a single partner in Elcon Corporation.